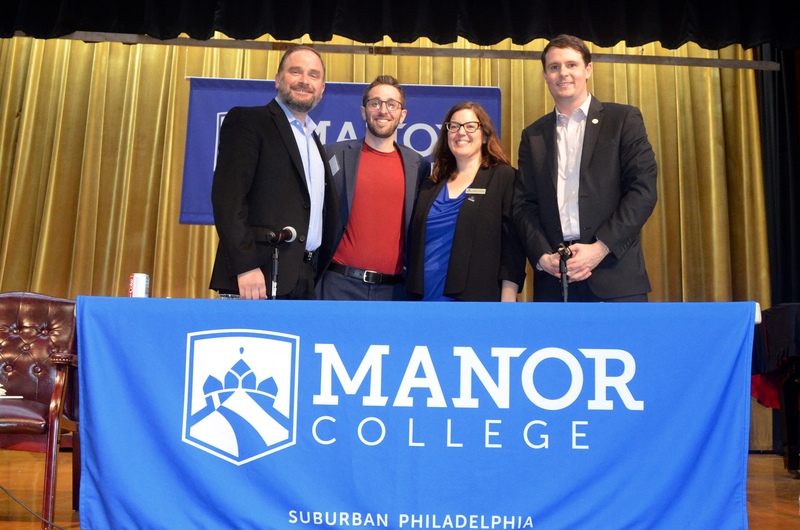 Several local experts and industry leaders came together last Thursday for our March marketing panel on Innovation & Ambition in Montgomery County. Panelists included Manor College’s own VP of Marketing, Heather Dotchel; Greg Star, Founding Partner of Carvertise; Edward Harris, Chief Marketing Officer for Valley Forge Tourism & Convention Board; as well as moderator Paul Koulogeorge, VP of Marketing for The Goddard School. This event was attended by numerous local entrepreneurs, who were able to network while enjoying a catered reception before the program. Thanks to everyone who attended this eye-opening discussion! View all photos on our Flickr account.